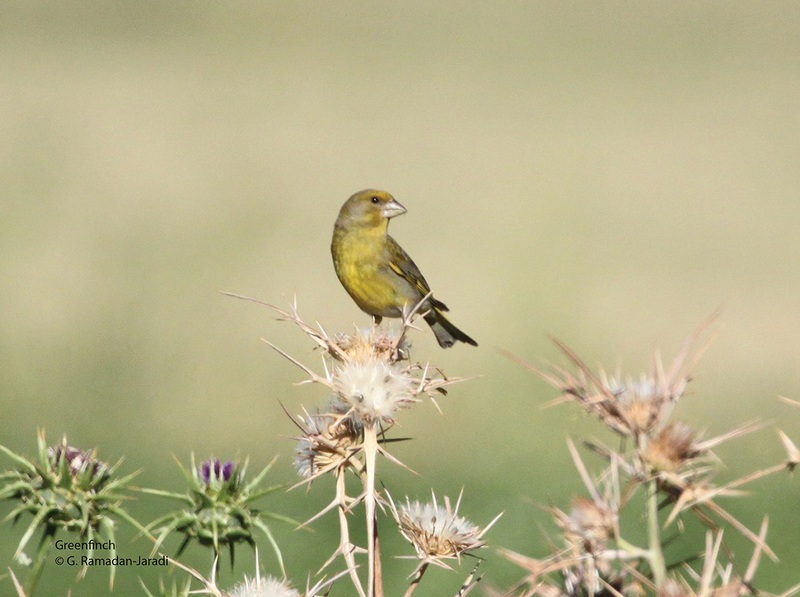 Over 275 bird species have been recorded in the Shouf Biosphere Reserve and the Ammiq Wetland (the wetland is a Ramsar site and Important Bird Area-IBA). 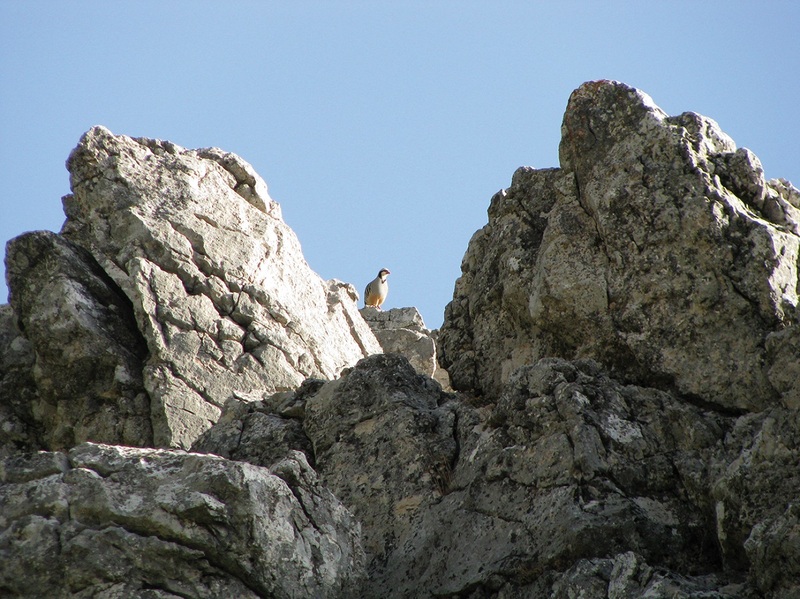 The birdlife of the Shouf Mountains includes rare or threatened birds such as the Syrian serin, Eagle owl, Chukar partridge, Long-legged buzzard, etc. 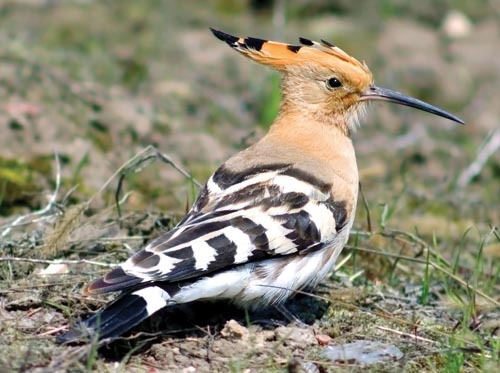 The whole area, placed strategically between Europe, Africa, and West Asia, is very important for bird migration. Each year countless storks, birds of prey, and other migrants pass over the reserve and use it as a resting, feeding and roosting site. 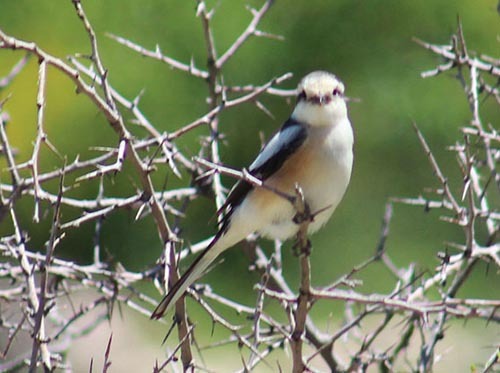 General information: It is a summer visitor to Lebanon, breeds at the Cedar Forests of the Reserve and most of its food consists of winged insects. 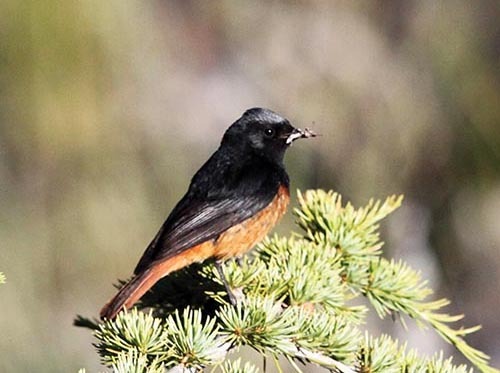 General information: A common breeding bird in the Reserve, especially the rocky highlands and cedar forest. General information: The Jay has an important role in the natural regeneration of Cedar and Oak Forests and can be heard in wooded mountain habitats from about 500m altitude to the tree line. 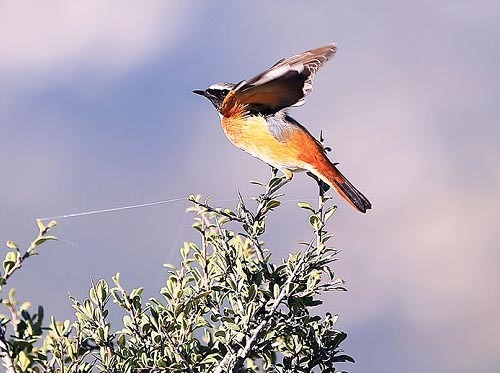 General information: A very special bird for Lebanon as the country holds the world’s largest population of this mountainous bird. General information: Most of Eastern Europe’s population of white Storks passes through Lebanon each spring and fall. 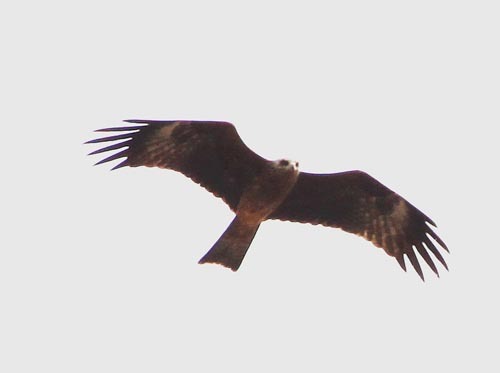 General information: Black Kites are opportunistic hunters and are more likely to scavenge. 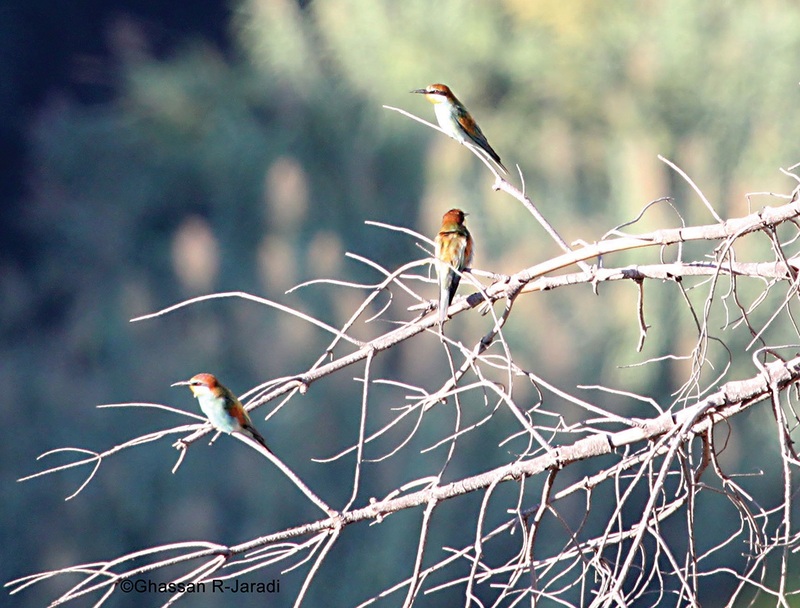 General information: The European Bee-eater migrates during fall and spring seasons over Lebanon. It is appreciated for its fondness in wasp. 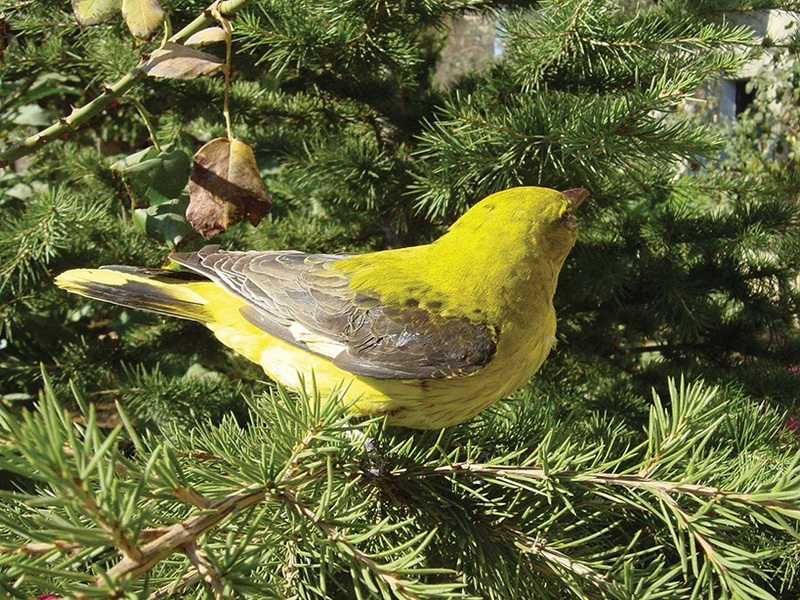 General information: The orioles are a mainly tropical group, although one species (Eurasian Golden Oriole) breeds in temperate regions, namely in Lebanon. 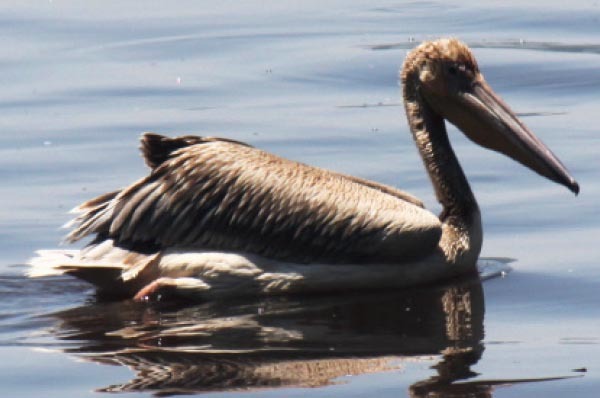 General information: In flight, the White Pelican is an elegant soaring bird, with the head held close to and aligned with the body by a downward bend in the neck. 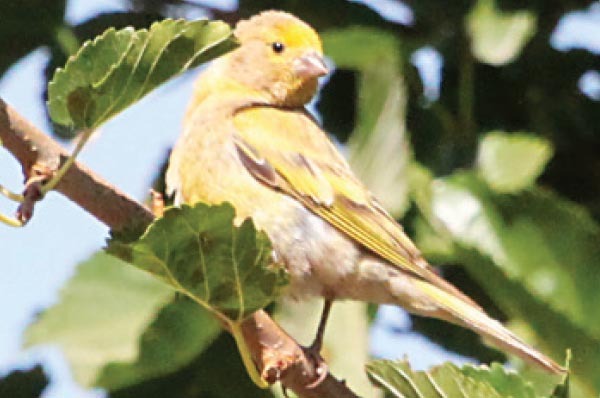 General information: Greenfinches nest in trees or bushes, thick vegetation is favored for breeding. 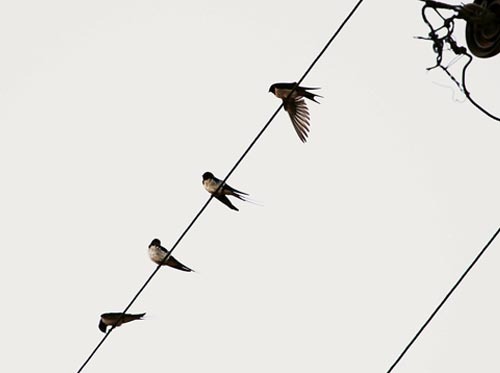 They lay 3 to 8 eggs and feed largely on seeds, but also take berries and insects. 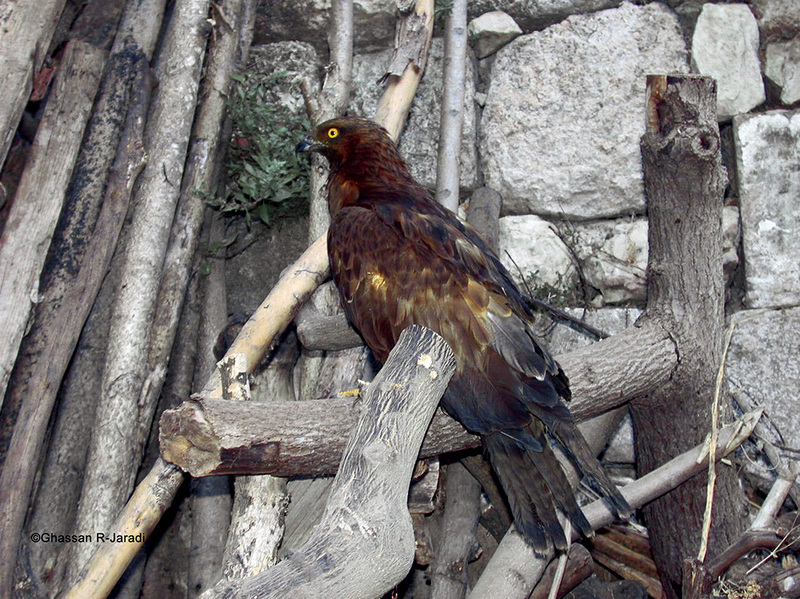 General information: The Honey Buzzard’s coat consists entirely of unique feathers that are capable of protecting it against wasp stings. By eating wasps the Honey Buzzards protect more bees than he eats. 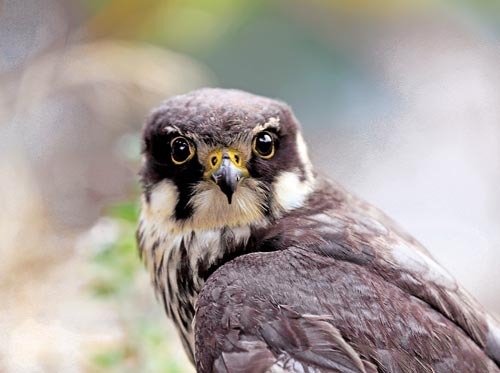 General information: It is an elegant bird of prey, nests in old nests of crows and other birds, lays 2–4 eggs, was used in falconry, trained to hawk birds like quails, larks, hoopoes, etc.